this is letterpress printed x 1 colour with foil stamping of your names in a choice of gold foil, silver foil, pearl foil, bronze foil or rose gold foil. before we print we supply pdf proofs of how your design will look,from your supplied information of what you would like to achieve in looks of invitations so it will be done to how you like. The fixed price includes design, all printing plates and foil. 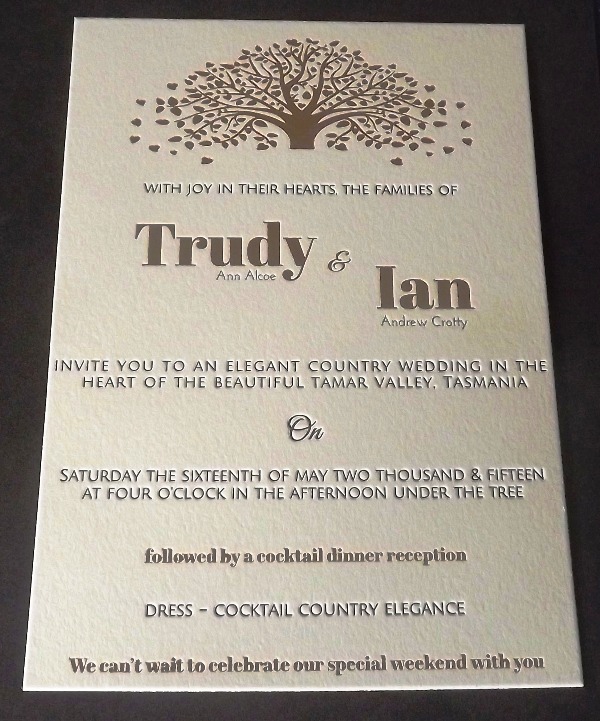 At IMPRESSIVE INKreations we promise you that you get best pricing and no compromise on printing quality as we do all the letterpress printing and foil stamping ourselves.